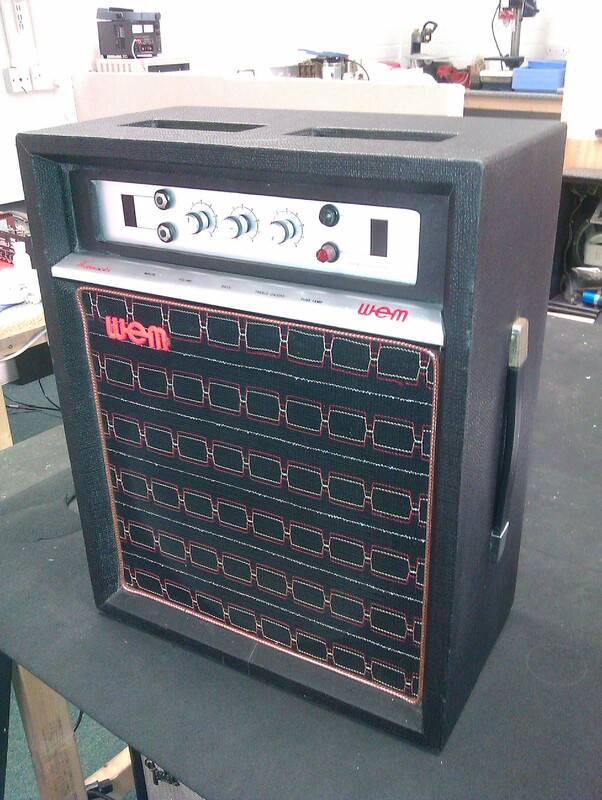 Mid 70’s Wem Westminster 1×12 10watt combo. A great recording or small room amp, this little Wem classic has a great distortion sound that cleans up nicely when you roll off the volume on the guitar. The sound is akin to that of an AC10, but gnarlier. Rock on!